The news of the day most definitely is the move of Italian striker, Mario Balotelli, from AC Milan to Liverpool FC, for a reported fee of £16m. The 24 year old Balotelli has made a name for himself playing for Inter Milan, where he mixed brilliant performances on the pitch, with disciplinary problems. Balotelli continued in the same fashion after his move to Manchester City, where he often butted heads with the club manager, Roberto Mancini. At AC Milan, for the most part, Balotelli failed to live up to the expectations, and it comes as no surprise that he is being offloaded to Liverpool. 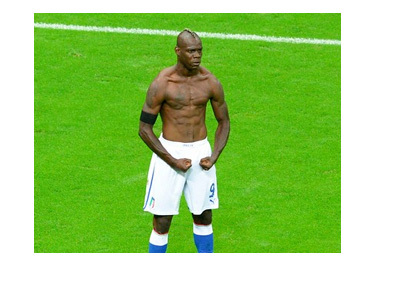 Super Mario, as he is called by his fans, established himself playing for Italy at the 2012 Euro Cup, where he famously buried couple of goals against Germany (here is one of them) to help his team progress to the tournament final, which they eventually lost to Spain. 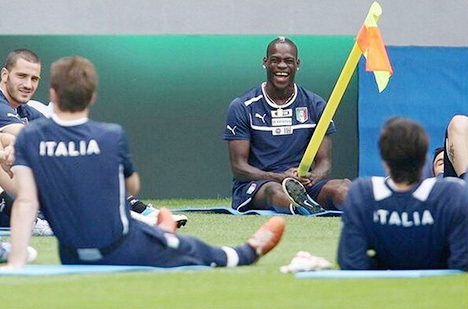 Balotelli was the nation's first choice striker at the 2014 FIFA World Cup as well. Mario Balotelli has loads of potential at Liverpool, but only if Brendan Rodgers is able to point him in the right direction, a task that Jose Mourinho at Inter and Roberto Mancini at City have failed at. The positive news for Liverpool fans is that Brendan Rodgers managed to get the best out of Luis Suarez, who is arguably just as 'crazy' as Super Mario. This is by far one of the most interesting signings of the summer and it will be a lot of fun watching things evolve at Liverpool FC.